I missed it last year and I wasn't about to miss it again! 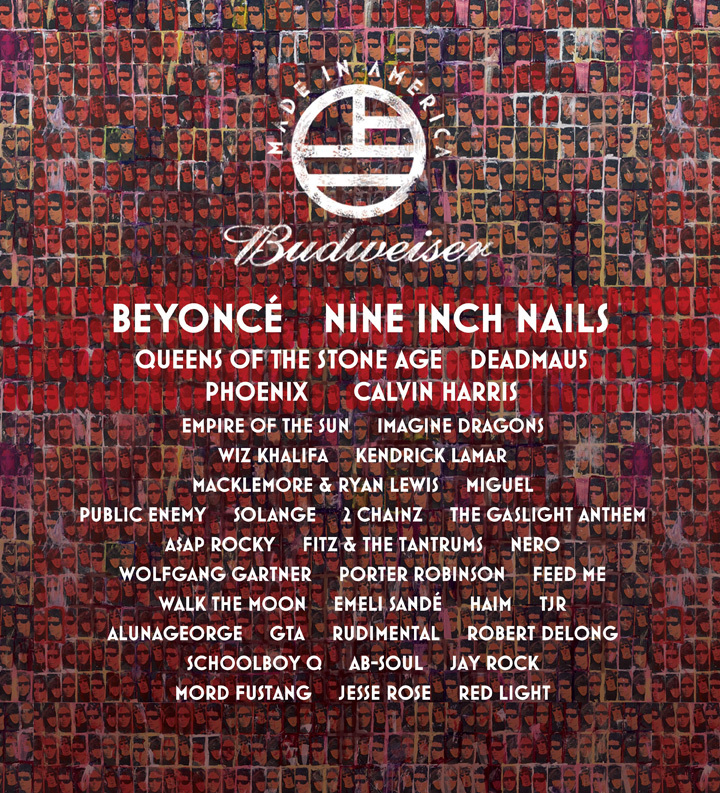 I'm so excited because I just bought tickets to the Made in America Festival in Philadelphia from August 31st - September 1st!! Made in America is a a two-day music festival organized by one of the most financially successful hip-hop artists and entrepreneurs in America, Jay-Z. Jay-Z selected an amazing line-up, full of 30+ blockbuster artists who represent and embody American spirit. If you're on the east coast or feel like traveling, be sure to purchase your tickets on Ticketmaster now!